The voice on the phone was breathless. "Help! Murder! Police!! He’s killing me, come quick!" (All dialogue, however fanciful, comes verbatim from today’s Los Angeles Times.) "Be right over," responded the dispatcher, as he sent two of his "star murder squad officers" to the scene of the crime. They were met at the door of 1618 East 27th Street by Mrs. Georgia Brown, who quickly assured them there was nothing out of order at her house. "Must be something wrong somewhere [else], everything’s running according to Hoyle here," she told the officers. Then Mrs. Brown made an error, a grievous one, the kind for which you’ll forever after kick yourself, even if you live to be 100. "Just walk in and see for yourselves," she said. The cops didn’t need to be asked twice. A five-minute investigation of Mrs. Brown’s house turned up five bottles of home brew. Called before the judge on a charge of possessing alcohol, Mrs. Brown was given the choice of a $100 fine or ten days in jail. She chose the former—though she still believes the police came to the wrong house. There was the sun’s blinding reflection on the water and the smell of burnt sugar and salt on the air today at the Silver Spray Pier amusement park in Long Beach. 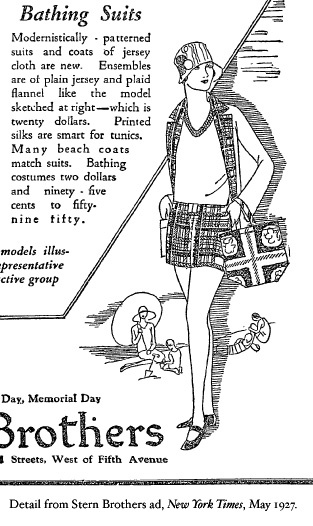 Summer is on the wane, and what should have been just one more seaside frolic before coeds return to campus and office girls to their typewriters ended in tragedy for 19-year-old Annie Navarro of 2805-1/2 North Main Street, Los Angeles. Along with a group of friends, the young woman visited a concession which featured a hardwood slide with a polished surface. When she was about halfway down the slide, however, Annie stopped dead—literally. Upon close inspection, it was discovered that she was impaled upon a foot-long sliver of wood. The makeshift dagger pierced several vital organs, and must have killed her instantly, said Dr. W.R. Palmer. Silver Spray Pier survived another 21 years before it was torn down in 1948. According to detectives, Schuchart had been dead longer than Bowers and based on the disarray and bloodstains throughout the house, she struggled mightily for her life. Family members said that Schuchart recently tried to cut off a relationship with Bowers of several months’ standing. Neighbors reported that Bowers, a traveling salesman who was reportedly "hard up and out of work," had previously threatened to shoot Schuchart. A brief note addressed to Mary V. Busy of Riverside was found in a sealed envelope on the kitchen table. In it, Bowers declared his suicidal intentions. Rest in peace, Florence C. Schuchart. 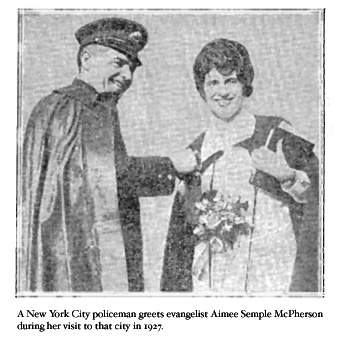 Relations between evangelist Aimee Semple McPherson and her mother, Mrs. Minnie "Ma" Kennedy, are reported to be on the mend today after a recent dust-up concerning the management of McPherson’s Angelus Temple. 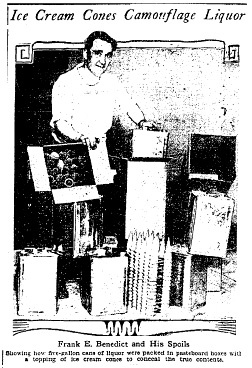 Kennedy had been acting as business manager while Sister Aimee was off on a preaching tour, but a series of burglaries (whispers said embezzlements) caused some church members—her daughter apparently among them—to lose confidence in Kennedy’s abilities. Sister Aimee cut her trip short earlier this week and returned to Los Angeles, where yesterday she announced that her mother was going to take a "long needed" vacation to the Holy Land. Today, however, Sister Aimee presented her mother with three options by way of a peace pact. Mrs. Kennedy could either (1) remain at the church but not in a managerial position; (2) take control of the entire organization while Sister Aimee founded a new and separate church; or (3) retire from all active participation in the church and receive "a substantial income from Angelus Temple" for the rest of her life. Mrs. Kennedy declined comment (though reporters noted her tearful visage). It is anticipated she will choose the first option. Sister Aimee meanwhile emphatically denied any personal animosity between the women (seen here reunited, along with Aimee’s children, after last year’s "kidnapping") or even that anyone had tried to oust her mother from the church in the first place. In another blow to the scandal-plagued evangelist, former Angelus Temple band leader Gladwyn Nichols today announced his reasons for leaving McPhersons’s church to found his own, chief among them being Sister Aimee’s "sensational" alleged abduction of last May. Nichols also pointed to alleged financial improprieties at Angelus Temple, and condemned Sister Aimee’s "flagrant … activities in obtaining publicity" including "posing before the news camera in stylish and expensive dresses" and "being photographed with bobbed hair." Ice Cream: Itâ€™s Whatâ€™s For Dinner. This is the good news weâ€™ve been waiting for, folks. 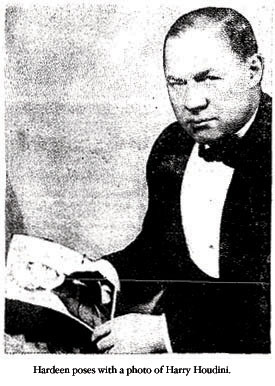 According to Dr. McCoy (author of the Los Angeles Timesâ€™s â€œHealth and Diet Adviceâ€ column), ice cream â€œshould at all times be considered a real food and not a delicacy.â€ Besides being rich in vitamin A and calcium, a half-pint of ice cream has as much lime as a half-pound of butter, four pounds of meat, or three-and-a-half pounds of potatoes. Never heard about the importance of lime in your diet? Me eitherâ€”-but if we eat enough ice cream, weâ€™ll never have to worry about it again. Packed with all that lime and gelatin, ice cream is a veritable superfood. Dr. McCoy â€œsuggest[s] that you try some summer lunches with ice cream as the principal part of the meal, using with it any one kind of the acid fruits â€¦ or â€¦ cooked and raw nonstarchy vegetables.â€ Ice cream salad, anyone? Should you find your pants getting a little tight after all that healthfulness, you might want to take a look at Dr. McCoyâ€™s book, The Fast Way to Health.